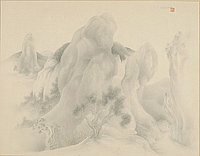 Landscape of mountains and trees. Center foreground, two trees on low hill. The focal point is a large mountain, center, with a small path between it and a cliff at right. 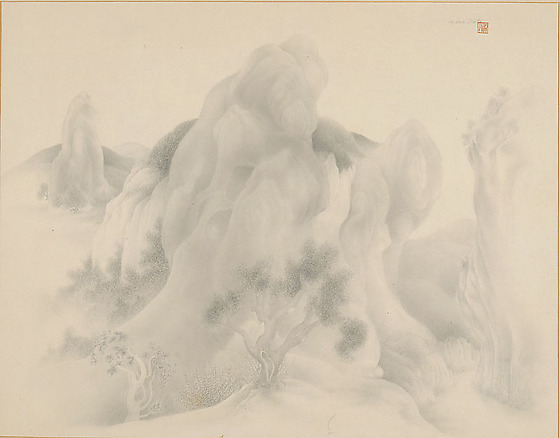 Upper left background, tall, narrow mountain with trees at base; two mountains visible behind it. Signed in pencil above Artist's hanko (personal mark, consists of three characters that translate as "Date Hide"), upper right corner: Hideo Date.